On March 24th, Milwaukee Brewers first base prospect Nick Ramirez, the team’s fourth-round pick in last year’s Draft, told his Twitter followers that he had broken the hamate bone in his right hand. He will undergo surgery on Wednesday and miss 6-7 weeks. After signing with the Brewers he was assigned to Helena of the Pioneer League at the end of June, he wouldn’t be there for long however. Appearing in just 22 games for the Helena Brewers, Ramirez swung a hot bat. Over the course of 103 at bats, Ramirez hit .369 and belted 8 home runs. He also had an extremely high OPS at 1.072. The Brewers challenged Ramirez with a promotion at the end of July. Ramirez would spend the rest of the season with the Wisconsin Timber Rattlers of the Midwest league. Going up against more seasoned competition Ramirez numbers cooled off with the Rattlers. During his stint with the Rattlers Ramirez went on to hit .197 with 3 home runs and 23 RBI’s. Once Ramirez finishes the rehab process look for him to return to the Wisconsin Timber Rattlers where he will build off his solid 2011 campaign. For those who are not familiar with the hamate bone here is some information behind the injury, the treatment and its overall impact on a baseball player. 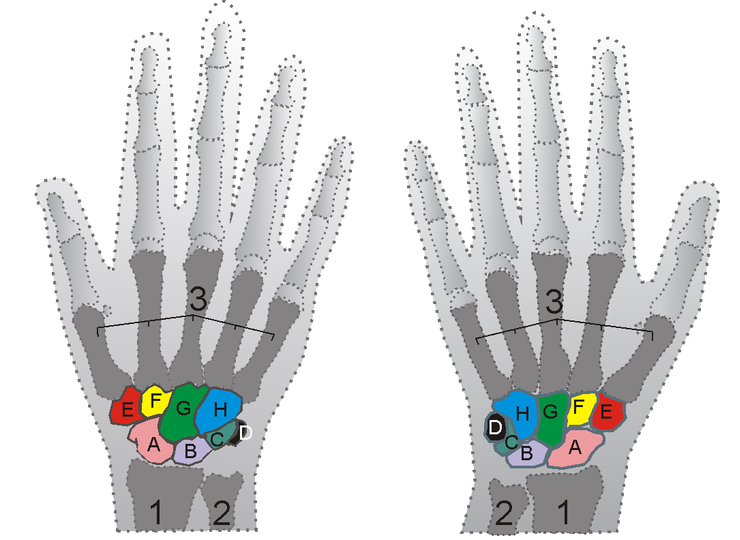 The hamate bone is located in the wrist, it has an outward area that is shaped like a small-sized hook. Due to its location near the surface of the palm the hamate is one of the more common bones that a baseball player can break. The hamate bone is important for a hitter because it not only helps control movement when a batter takes a swing but it also assists in a batter getting a tight grip on the bat itself. Once broken and surgery is completed the next step is treatment and recovery. Part of the recovery process is letting the injury heal. A player can expect to be in a cast for three to four weeks before getting starting to get back to on field activities. The overall impact on a baseball player is minimal, meaning it is not likely to impact the player on a long-term level. Although the recovery time is short and a player can quickly get back on the field, a baseball player is normally zapped of some of his power upon return. This can continue until fully healed from the injury, which can take up to one full year. Many players have had hamate bone surgery including All Stars – Troy Tulowitzki, Pablo Sandoval and Dustin Pedroia. Players such as the ones mentioned have proved that this is one injury that you can come back from and continue to perform at a high level of play.